Is it possible to achieve successful co-parenting after a divorce? Co-parenting after a divorce can be sometimes be an extraordinary challenge. 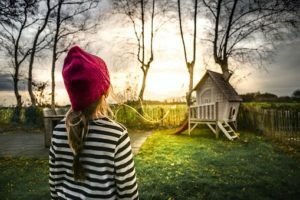 Divorce is often fraught with trauma and navigating a very changed relationship with the other parent can certainly be very tough emotionally and practically as you learn to function differently. 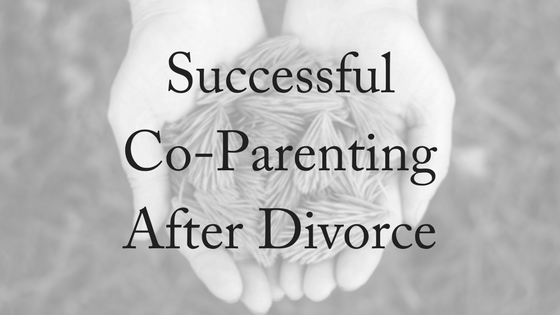 Successful co-parenting after divorce is not a given, but it’s also very possible if you and your ex choose to parent well. Although you are no longer a couple, you still have a family. Choosing to parent well means putting the needs of your child first. Choosing to co-parent well, means putting the needs of your child first – even if the relationship with your ex is strained. Whatever happened in your marriage doesn’t need to ruin your chances of a successful co-parenting relationship. If Dr Robert Emery, a divorce researcher, therapist and mediator, were to give a single piece of advice to divorcing parents, it would be this: treat one another like business partners. You politely return a call. You do not vent. You do not sling insults. You do not call late on Saturday night with a list of grievances. A formal, structured, emotionally disengaged relationship governed by clear rules of behaviour will help both parents do better at their job – which is co-parenting their children. 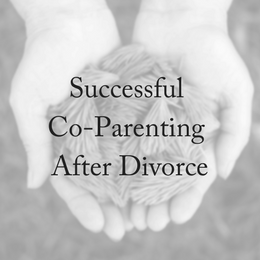 This is the basic forumula for a successful co-parenting relationship. 2. Continue to be part of each other’s families. “I still talk to my ex-husband’s mother, and father, and grandparents, and aunts and uncles,” she says. No room for awkwardness here! Why? “Divorce isn’t the end of a family,” Bialik says. “It’s the end of a nuclear family. It’s the end of a family living in one house. But we still have responsibilities to each other’s families, and to our children as a family.” She maintains that a closer unit, in spite of divorce, only serves to “strengthen” her children’s lives. 3. Try to model good behavior. 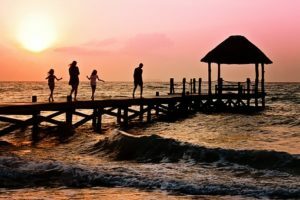 Constant conflict before parents separate and conflict that continues to plague parents who are co-parenting after a divorce takes a toll on the children involved. Child psychologist and researcher Dr Jennifer McIntosh says, “Conflict for me is the behavioural manifestation of parents’ contempt, mistrust or disregard for one another. Children know when their surroundings are charged with rancour. Even babies pick up on a mood, and soak up contempt in the atmosphere the way a passive smoker inhales toxins. I think the parents who do well, who create an environment for children to thrive after separation, are those who move on through the emotions and let the toxic ones go,” McIntosh says. Your strained relationship with your ex does not mean that you can’t have a successful co-parenting relationship. There are often complex emotional issues and many practical issues to work through when co-parenting after divorce. Successful co-parenting means carrying on as best you can with your children first. This means working together as parents to organise ‘life’ for your children to give them the most stability, security and loving support you can amidst the ups and downs. Beanstalk is a website to inspire and equip single mums. There are some apps that they have sourced to help with the rollercoaster ride of co-parenting. Due to their capacity to synchronize, co-parenting apps can alleviate the need for communication about menial matters. And it’s often the menial matters that cause the disagreements which hamper co-parenting harmony. So these apps can actually reduce conflict, which can only be a good thing. Co-parenting apps have a host of functionalities including, but not limited to, shared diaries, expense records, children’s profiles and advice links. Some of the apps include 2houses, Kidganizer and Parenting Apart. Learning to co-parent in harmony is possible, even when you don’t like being in the same room as your ex! You’re both going to make mistakes along the way but keeping open, honest and civil lines of communication open will be a big help. At Divorce Lawyers Brisbane we believe that children should be first. Our experienced family lawyers can help you with arranging a parenting agreement that is child focused to help you create an environment in which they can thrive. We offer a free, 10-minute phone consultation. Please contact us today!